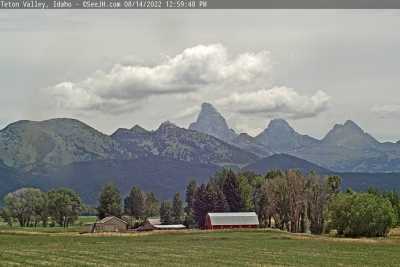 This web camera is located at Dornan's Resort within the Grand Teton National Park looking west at the Grand Tetons. 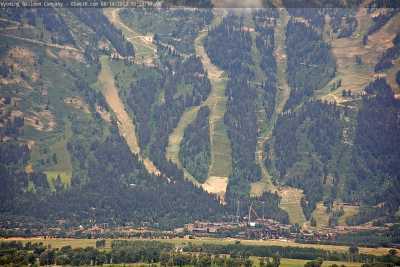 The family-owned and operated resort is located in the heart of Jackson Hole Valley and just 40 miles south of Yellowstone National Park. Originally homesteaded in 1916, the Dornan's have proudly served northwestern Wyoming since John P. Dornan began the roadside business not long after the family homesteaded early in the 20th century. 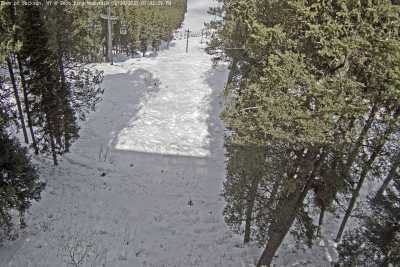 The resort is located inside the boundaries of Grand Teton National Park and alongside the Snake River. Known for its western ambiance, Dornan's Resort offers travelers a convenient spot to stop and relax from a car ride, whether it's a brief stop or an overnight cabin stay. Offering shopping, food, gas and other amenities related to the recreational activities of the area. With the Teton Range in the backdrop and an abundance of wildlife in the area, you will be sure to see some great sights. 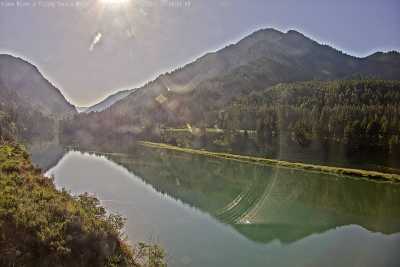 Situated on the banks of the Snake River, Dornan's Resort offers spectacular views of the Grand Tetons. 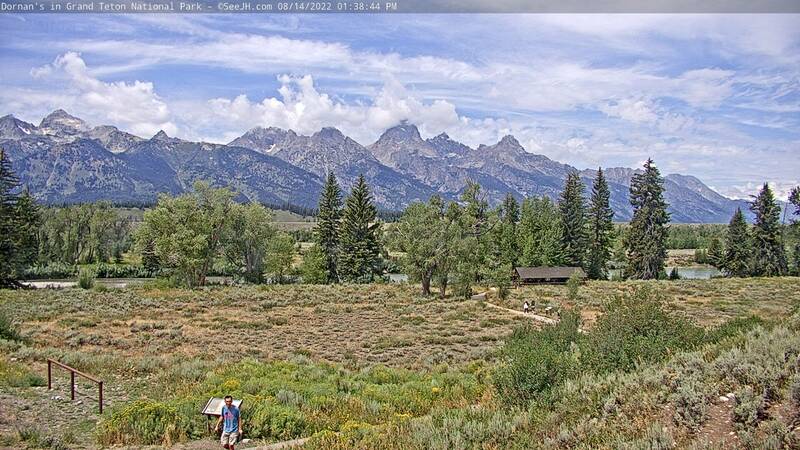 Many don't call it a vacation to Jackson Hole until they venture into the waters of the Snake River. Lying in six western states, the Snake River is one of the major rivers of the greater Pacific Northwest. Rising in western Wyoming, the Snake River is 1,078 miles long. Created by a volcanic hotspot that now lies beneath Yellowstone National Park, the Snake River Plain was created. The Snake River name was given when Shoshone Indians had made a sign in the shape of an S to represent swimming salmon, but the drawing was misinterpreted as a snake and the name stuck. The Snake River begins in western Wyoming through the confluence of three headstreams beginning as a small river that flows west and south into Jackson Lake. 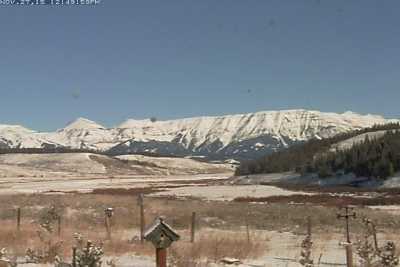 The Jackson Hole valley is host to the first 50 miles of the river that meanders through the valley cutting between the Continental Divide and the Teton Range. Noted as the thirteenth longest river in the United States, the Snake River covers nearly 108,000 square miles throughout Idaho, Nevada, Oregon, Utah, Washington, and Wyoming. A variety of species can be found along the Snake River including beavers, osprey, bald eagles, marmots, and moose. Located in Teton County, Moose is an unincorporated town situated in Grand Teton National Park. 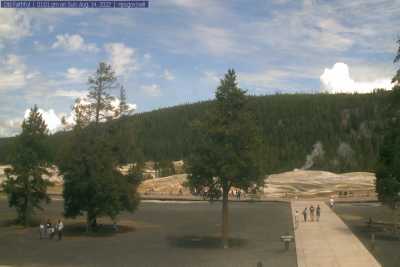 A small community of Park Service housing is also located in the area that serves Park Service employees and their families. 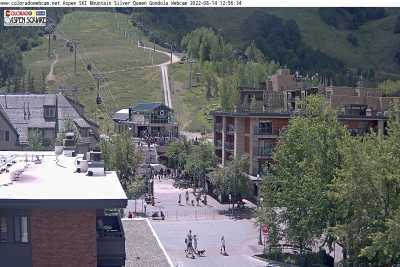 The Grand Teton National Park Headquarters and visitor center is also in Moose. The area has also been host to several motion pictures being filmed, not the least of which was The Far Horizons, which portrayed a part of Lewis and Clarks Expedition to survey territory. 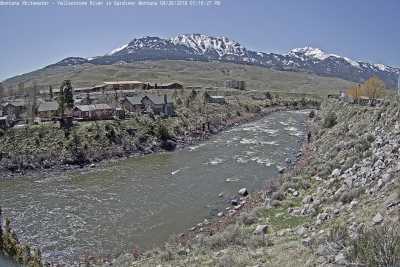 Just 12 miles from the town of Jackson Hole, Wyoming, the Grand Teton Dornan's webcam features breathtaking snowcapped peaks of the Teton mountain range and beautiful views along the Snake River. Considered as one of the world's most scenic settings, the Grand Tetons and Snake River await your visit.